NNL were looking to relocate their staff from a nearby site. Wilson Mason was approached to provide a feasibility study and concept for the possible relocation. The input included brief taking and development which identified the client’s spatial requirements and analysed their current facilities as well as their aspirations for the proposed development. 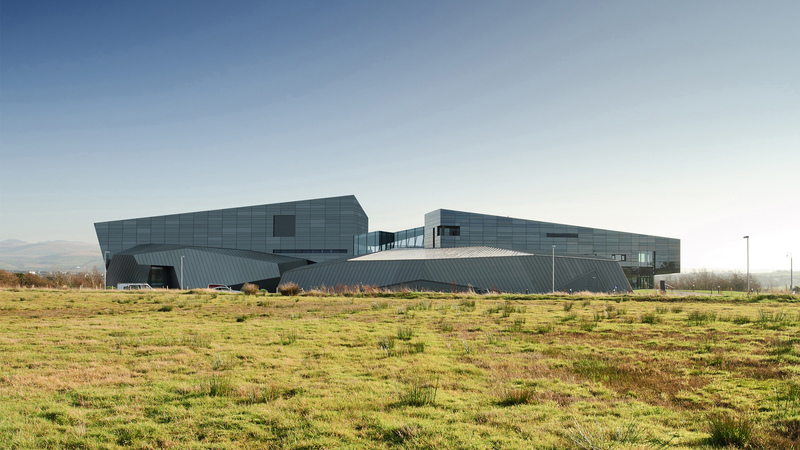 The design generated responds to and adjoins the Dalton Cumbrian Facility and seeks to extend it in a manner that creates a coherent design with a high visual impact. NNL were seeking to establish a new building that created an identity for their services and made a dramatic visual statement. The site is multi-leveled which posed the challenge of how to connect to the adjacent DCF building and create a single cohesive facility. The NNL building has its own entrance and incorporates views directly into the laboratory spaces for all visitors, with the central block housing the NNL office staff.